Whenever my husband and I visit a restaurant for the second or third time, we almost always regret ordering something different. We'll take a few bites and sigh: "Wish I had just gotten that chicken sandwich. That was SO good." I guess I'm a creature of habit. I'm used to using 50 weight Aurifil thread for all of my piecing and quilting on my domestic machine (and my machine loves it); why break something that isn't broken, right? I had heard that 40 weight, a bit of a thicker thread, really gives the quilting good definition, but 28 weight seemed unimaginably thick to me as machine quilter. But really... I was wrong! When I decided to start my large wholecloth quilt project, I took a chance to try these different, new-to-me thread weights. 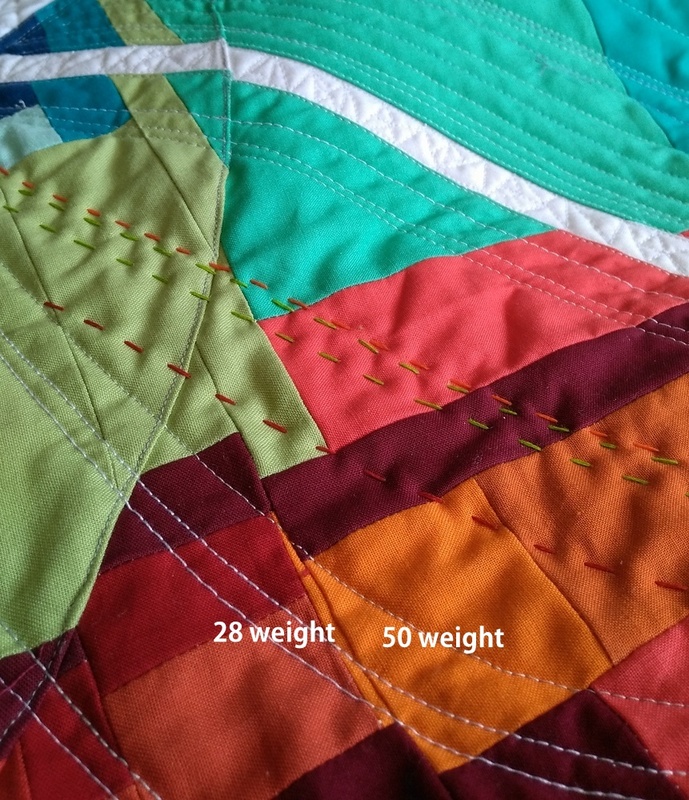 Since a wholecloth quilt is made up only of quilting, the heavier weights might really provide contrast (yes, the lower the number, the thicker the thread). 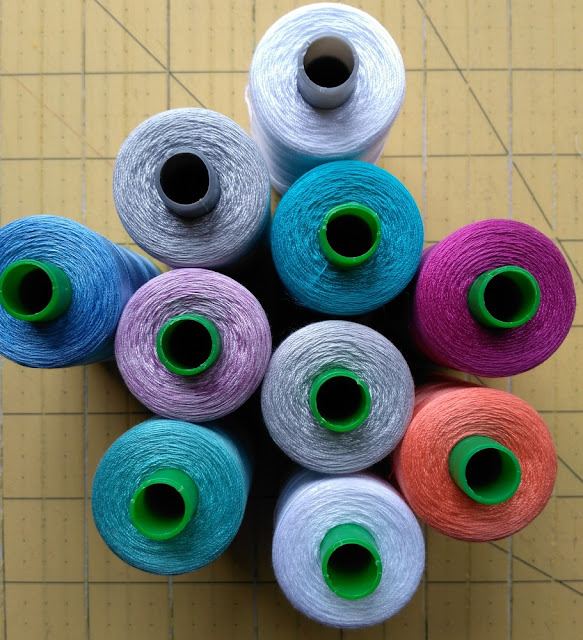 I asked Aurifil if they would be willing to let me try out some 40 weight (green colored spool) and 28 weight (gray colored spool) threads, and they were gracious enough to send several spools in specific colors. 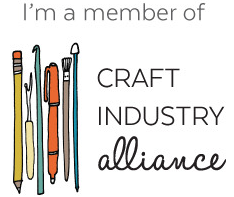 Thank you, Aurifil! I tested out the gray thread (2600, my favorite shade ever) on a scrap quilt sandwich. Since I knew I'd be writing words on my wholecloth, I wanted to experiment with writing right away. You can see that the 28 weight thread is still noticeably thicker than 40 weight, but below, further away, it only makes a slight difference. Still, though, both threads are thicker than 50 weight. 1. Take the time to figure out the right tension on your machine. You may have to adjust your tension dial to accommodate (I did). It can be a frustrating and lengthy process, but it's worth it. Once you've figured out the right settings for different kinds of thread, I suggest writing down your numbers on a handy post-it to keep near your machine. 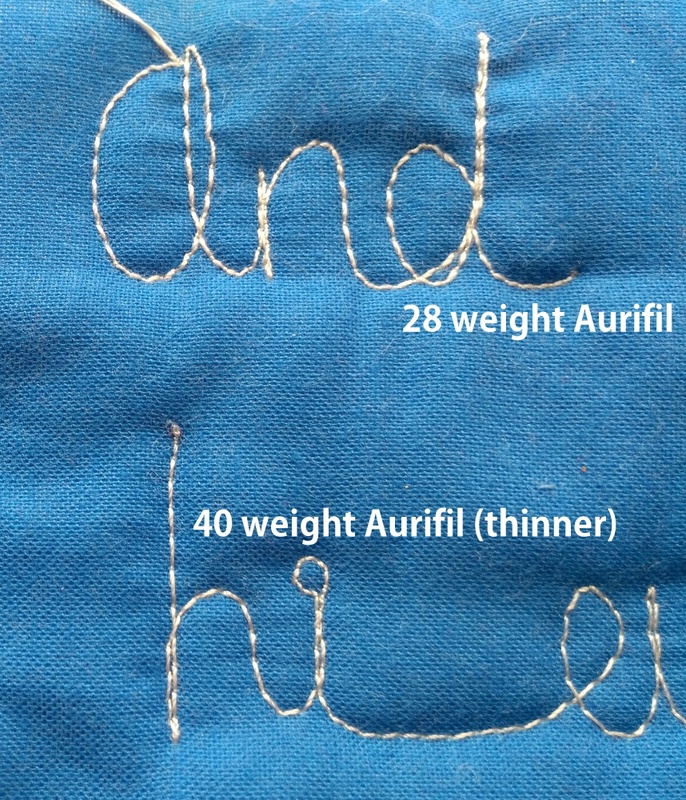 Also, I use a universal needle 80/12 for almost everything, but you may want to try the needles Aurifil suggests (28 weight: Top Stitch 90/14; 40 weight: Sharp/Microtex quilting or denim 80/12). 2. Use a practice quilt sandwich for all tension testing and practicing. It doesn't have to be large (fat quarter size - 18x22 works well for me, or sometimes smaller). 3. Use a thinner thread in the bobbin that's a similar color. I only use 50 weight bobbins - that's the thread I have the most of and I know it works well (plus, Aurifil recommends it on their website!). I haven't tested thicker weight threads in the bobbin but if anyone has, I'd love to hear about your experience. Also, I know that the quilt police like it when you use the same color thread in the top and bobbin... but I hardly ever do. As long as your tension is right, you shouldn't really see the threads! 4. QUILT SLOWLY. Thicker weight threads, especially 28, have more of a chance of breaking/splitting. This didn't happen to me often and I'm thrilled with the quality of the thread, but it's simply MORE thread. This is a small project I started (with more words). On the bottom row, I decided to trace over the stitches to make them stand out even more. I want the words to really show in comparison to the rest of the piece. Overall, I'm very please with how the 28 and 40 weight threads stand out on their own, but you can really add to the effect by tracing. Background thread - 50 weight; words - 40 weight, traced over 2 or 3 times. 50 weight is my favorite for piecing, but 40 weight is definitely my favorite for machine quilting now. I love to make my quilting SHOW (after all, I put so much work into it!). So, have you tried changing thread weights? If not, take the chance and dive into the unknown. You might be surprised at the subtle contrast and change in the look of your work! For further reading, please check out Yvonne (@quiltingjetgirl)'s tutorial for using 12 weight Aurifil on her longarm. Both 50 and 40 wt are my go to weights for quilting. I have not tried the 28wt, I need to try that sometime. 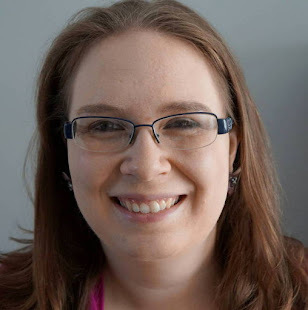 I haven't ventured beyond 50 wt, but now I want to give other weights a try! Great tips! I haven't experimented with anything other than 50wt and 12wt (go big or go home, right? haha!) in my domestic, but I actually ended up using the 12wt in the bobbin and the 50wt on top. It's called "bobbin work" and it worked beautifully for me. I 100% agree that taking the time to practice and dial in settings is worth it, and being open to trying all kinds of things - like the thick thread in the bobbin - is important. This looks great. 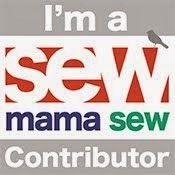 I am thread illiterate, so I am grateful for your massive knowledge. Did you adjust your stitch length for the thicker thread? Or do you use the same stitch length you normally do? Great tutorial. I've never tried anything other than 50 weight. I've been following your wholecloth project and love what you've done and are doing. 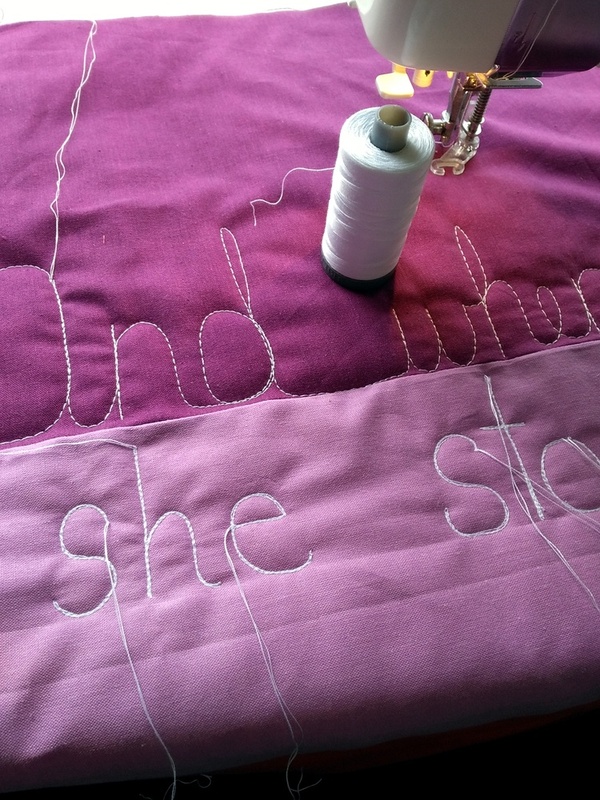 I never thought of changing the weight of the thread when machine quilting. 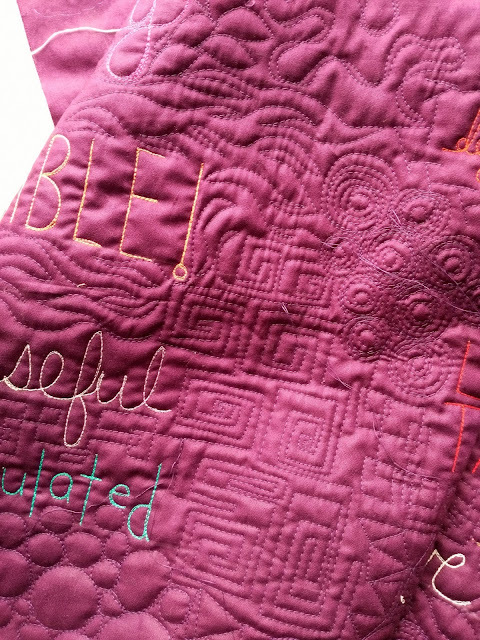 Have only done my own quilting on smaller projects but will be "graduating" fearlessly (cough, cough) to larger quilts. I usually keep a long-arm friend busy. So much good / great information. Thank you again for sharing. 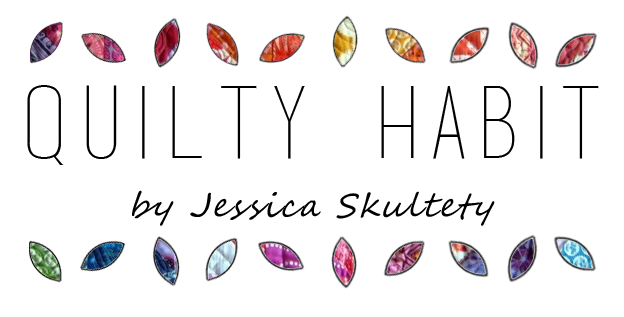 This was so fun to read! I was just thinking about seeing if my Janome would go for a different wt! That's great, Claudia! If you have any trouble, definitely try the suggested needles. Thanks so much! Thanks for sharing, all the tips and close-ups are really helpful. There's little choice of thread here in Ireland, but I recently discovered 40wt YLI thread and I love it for machine quilting. I use 28 wt Aurifil for machine quilting nearly always. My Bernina Burnett 66 loves it. I usually use it in the bobbin as well. The only complaint I have about that is that the bobbin won't hold has much of the thicker thread so you run out faster. I like using 50 wt in the bobbin, I need to get more colors! Btw, my machine doesn't like Aurifil 50 wt so I use Guttermann. I don't like Aurifil 50 wt for hand stitching either, it's too curly. 😂 Love this post - great info and very helpful. Thanks! Hi Susan, that's an excellent point about bobbins running out with thick thread! I love Aurifil in the bobbin (50 weight) because I feel like it fills up more than what I used to use. You definitely have to use what works best for you! I'm glad I could help! These tips are exactly what I would tell someone too! I will point them this way when I get around to my quilt.